Blaze Pizza adds to their heretofore singular dessert selection with the launch of new house-made chocolate chip cookies and brownies. The new chocolate chip cookie features a sprinkle of English sea salt, while the chocolate brownie is brushed with extra virgin olive oil. The two baked desserts join the chain's signature s'mores pie on the menu. All three can be warmed by request. 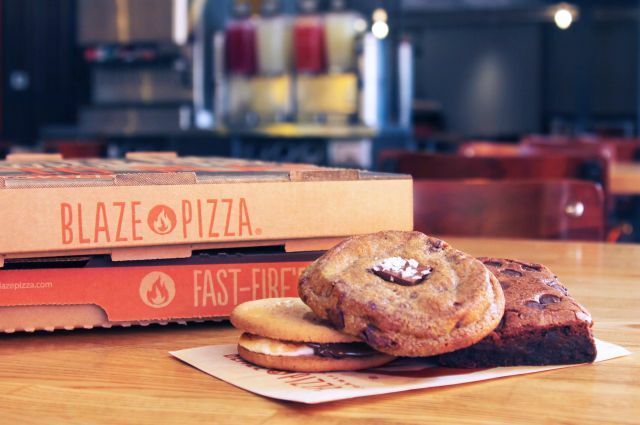 If you happen to have or sign up an account on the Blaze Pizza mobile app before November 15, 2016, the chain will be sending out a free dessert offer to members via the app.